Dedicated to offering support, information and guidance to those affected by cancer throughout south africa. WHAT DOES CANCER BUDDIES DO? Cancer Buddies is an organisation with a difference. 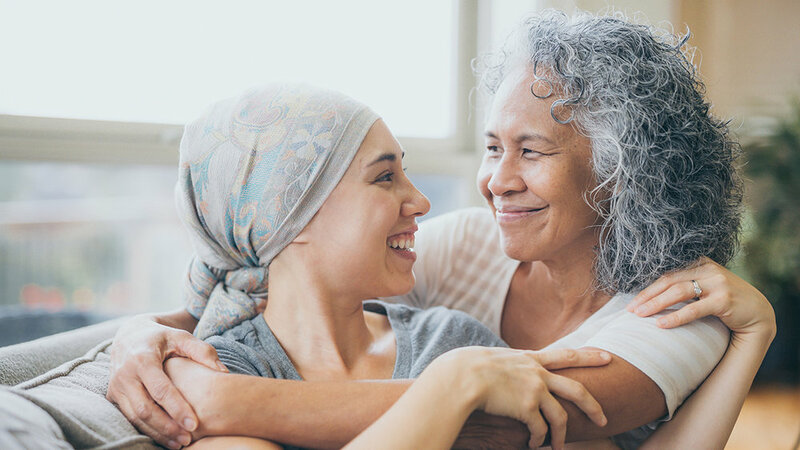 We acknowledge that cancer affects patients beyond the physical and mental aspects of their lives, and that true healing can only take place through holistic treatment of a person’s experience. We specialise in offering support, information and guidance to all those affected by cancer, either directly or indirectly. What makes us so unique is that through targeted platforms, newly diagnosed cancer patients are matched with survivors trained to offer counselling. This enables cancer patients and their loved ones alike to come to terms with their cancer journey, and ultimately, to heal. Cancer Buddies offers a free and easily accessible peer-to-peer Buddy Support System, where cancer patients can receive practical advice, information, guidance and support directly from cancer survivors. Our volunteer support programme is also aligned with international protocols, establishing us as one of the top volunteer physio-social projects in South Africa. In addition to our Buddy Support System, we have also extended our reach through the implementation of our new Digital Support Platform called the iBuddie. The iBuddie, which is by far the most comprehensive support platform in South Africa, has brought together the most up-to-date research results and cancer programmes on one online platform. This offers all users an accessible and pristine, advanced technology that will enable you to learn, live, and heal – whether you are a cancer patient, or a caregiver. In the formative years of the organisation the focus was on establishing a peer-to-peer cancer support program. Over time PLWC has developed a broader perspective and now finds its role as an umbrella organisation responsible for many cancer-related projects that find synergy in working together in a complementary and creative manner, overseen by a management group drawn from these projects. HOW DOES CANCER BUDDIES DO IT? Cancer Buddies have actively been supporting cancer patients and their families for 15 years, and in this time, we have built up a wealth of resources and associations to other organisations. Thus, this knowledge database is conveniently accessible to all users, as well as complimentary support services and tangible references. As an organisation, Cancer Buddies have built up an extensive database of knowledge from their respective cancer journeys. We have combined this with the knowledge of respected resources to form a holistic healing programme that will aid both cancer patients, and their caregivers. This advice encompasses a wide variety of aspects, from nutritional and exercise advice, to information and tools that equip patients to better deal with the mental and physical phases of their journeys. Cancer Buddies are easily accessible through the platforms of telephone, e-mail or WhatsApp. They serve to equip cancer patients and their families in the process of coping, both from a mental and an emotional standpoint, with the cancer journey, from diagnosis and thereafter. The Buddies are incredibly unique in their hands-on approach, and offer a deeply supportive programme. Even after medical treatment is completed, Cancer Buddies continue to be invaluable to assist in building the foundation for the next chapter of a patient’s life.